Prior to graduating from college, Trump began his real estate career at his father's company,Elizabeth Trump and Son, which focused on middle-class rental housing in the New York City boroughs of Brooklyn, Queens, and Staten Island. During his undergraduate study, Donald Trump and his father, Fred Trump, used a $500,000 investment to successfully reopen the foreclosed Swifton Village apartment complex in Cincinnati, Ohio. After being promoted to president of the company in the early 1970s (while his father became chairman of the board), he renamed it to The Trump Organization.In 1973, he and his father drew wider attention when the Justice Department contended that the organization systematically discriminated against African Americans wishing to rent apartments, rather than merely screening out people based on low income as the Trumps stated. An agreement was later signed in which the Trumps made no admission of wrongdoing, and under which qualified minority applicants would be presented by the Urban League. Trump’s first major real estate deal in Manhattan was the remodeling of the Grand Hyatt Hotel in 1978, located next to Grand Central Terminal. The building was remodeled from an older Commodore Hotel, and was largely funded by a $70 million construction loan jointly guaranteed by Fred Trump and the Hyatt hotel chain. 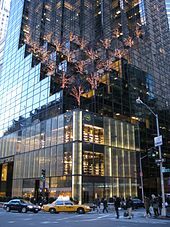 In 1978, Trump finished negotiations to develop Trump Tower, a 58-story, 202-meter (663-foot) skyscraper in Midtown Manhattan, for which The New York Times attributed his “persistence” and “skills as a negotiator”.The building was completed in 1983, and houses both the primary penthouse condominium residence of Donald Trump and the headquarters of The Trump Organization. Trump Tower was the setting of the NBC television show The Apprentice, and includes a fully functional television studio set. 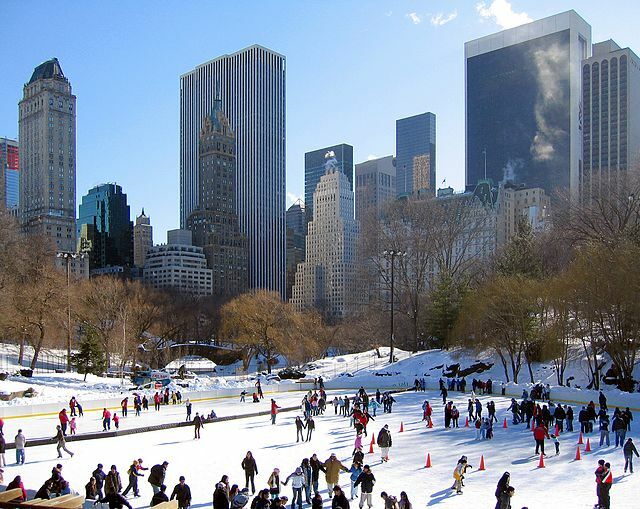 Repairs on the Wollman Rink in Central Park, built in 1955, were started in 1980 by a general contractor unconnected to Trump. Despite an expected 2 1⁄2-year construction schedule, the repairs were not completed by 1986. Trump took over the project, completed it in three months for $750,000 less than the initial budget of $1.95 million, and operated the rink for one year with all profits going to charity in exchange for the rink’s concession rights. Trump acquired the Plaza Hotel in Manhattan in 1988 for $400 million, and tapped his then-wife Ivana to manage its operation and renovation. Trump acquired the historical Mar-a-Lago estate in Palm Beach, Florida, in 1985 for $5 million, plus $3 million for the home’s furnishings. In addition to using the home as a winter retreat, Trump also turned it into a private club with membership fees of $150,000. At about the same time, he acquired a condominium complex in Palm Beach with Lee Iacocca that became Trump Plaza of the Palm Beaches. Later in 1988, Trump acquired the Taj Mahal casino in Atlantic City in a transaction with Merv Griffin and Resorts International. The casino was opened in April 1990, and was built at a total cost of $1.1 billion, which at the time made it the most expensive casino ever built. Financed with $675 million in junk bonds at a 14% interest rate, the project entered Chapter 11 bankruptcy the following year. Banks and bondholders, facing potential losses of hundreds of millions of dollars, opted to restructure the debt. The Taj Mahal emerged from bankruptcy on October 5, 1991, with Trump ceding 50 percent ownership in the casino to the bondholders in exchange for lowered interest rates and more time to pay off the debt. He also sold his financially challenged Trump Shuttle airline and his 282-foot (86 m) megayacht, the Trump Princess. The property was repurchased in 1996 and consolidated into Trump Hotels & Casino Resorts, which filed for bankruptcy in 2004 with $1.8 billion in debt, filing again for bankruptcy five years later with $50 million in assets and $500 million in debt. The restructuring ultimately left Trump with 10% ownership in the Trump Taj Mahal and other Trump casino properties. Trump served as chairman of the organization, which was renamed Trump Entertainment Resorts, from mid-1995 until early 2009, and served as CEO from mid-2000 to mid-2005. During the 1990s, Trump’s casino ventures faced competition of the Native-American owned Foxwoods casino in Connecticut. In 1993, Trump made controversial comments in his testimony to a Congressional committee, famously stating that the casino owners did not look like real Indians. But despite that well-publicized quote which related to the Mashantucket Pequot Tribe, Trump became a key investor who backed the Paucatuck Eastern Pequots who were seeking state recognition. Trump acquired an old, vacant office building on Wall Street in Manhattan in 1996. After a complete renovation, it became the seventy-story Trump Building at 40 Wall Street. After his father died in 1999, Trump and his siblings received equal portions of his father’s estate valued at $250–300 million. In 2001, Trump completed Trump World Tower, a 72-story residential tower across from the United Nations Headquarters. Trump also began construction on Trump Place, a multi-building development along the Hudson River. He continued to own commercial space in Trump International Hotel and Tower, a 44-story mixed-use (hotel and condominium) tower on Columbus Circle which he acquired in 1996, and also continued to own millions of square feet of other prime Manhattan real estate. Trump acquired the former Hotel Delmonico in Manhattan in 2002. 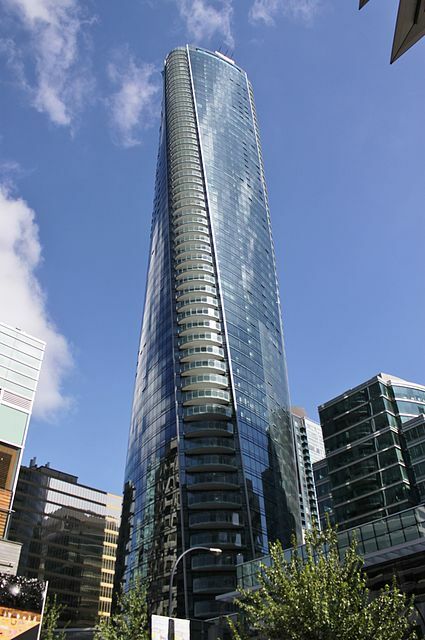 It was re-opened with 35 stories of luxury condominiums in 2004 as the Trump Park Avenue. Most recently, The Trump Organization has expanded its footprint beyond the United States, with the co-development and management of hotel towers in Chicago, Honolulu, Las Vegas, New York City, Washington D.C., Panama City, Rio de Janeiro, Toronto and Vancouver. The Trump Organization operates many golf courses and resorts in the United States and around the world. The number of golf courses that Trump owns or manages is about 18, according to Golfweek. Trump’s personal financial disclosure with the Federal Elections Commission stated that his golf and resort revenue for the year 2015 was roughly $382 million. In 2006, Trump bought the Menie Estate in Balmedie, Aberdeenshire, Scotland, creating a golf resort against the wishes of some local residents on an area designated as a Site of Special Scientific Interest. A 2011 independent documentary, You’ve Been Trumped, by British filmmaker Anthony Baxter, chronicled the golf resort’s construction and the subsequent struggles between the locals and Donald Trump. Despite Trump’s promises of 6,000 jobs, in 2016, by his own admission, the golf course has created only 200 jobs. In June 2015, Trump made an appeal objecting to an offshore windfarm being built within sight of the golf course, which was dismissed by five justices at the UK Supreme Court in December 2015. 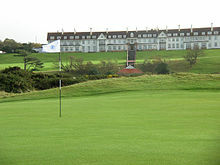 In April 2014, Trump purchased the Turnberry hotel and golf resort in Ayrshire, Scotland, which is a regular fixture in the Open Championship rota. After extensive renovations and a remodeling of the course by golf architect Martin Ebert, Turnberry was re-opened on June 24, 2016.